Cleveland Clinic Laboratories (CCL) is a full-service, national reference laboratory dedicated to providing world class care for over 25 years. Pathologists, community-based clinicians, and institutions across the country and around the world have relied on Cleveland Clinic Laboratories for decades to deliver comprehensive and personalized anatomic pathology services in addition to clinical laboratory testing. CCL’s staff of more than 60 anatomic pathologists that provide diagnostic interpretations for Cleveland Clinic patients also provide the same diagnostic services for Cleveland Clinic Laboratories by utilizing a subspecialty expert sign-out system and state-of-the-art technology. 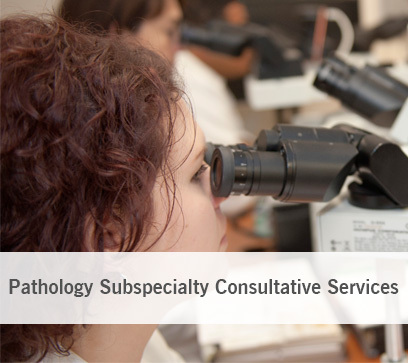 Our expert surgical pathologists practice in a full subspecialty model with expertise in 14 subspecialties within anatomic pathology. 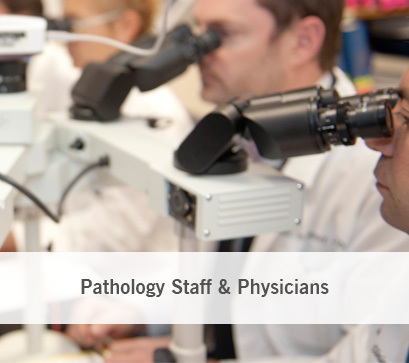 Every year, our subspecialty pathologists interpret more than 160,000 surgical pathology cases and 85,000 cytology specimens, including more than 22,000 non-gynecologic specimens.